Don't let the rain keep you down this weekend. Throw on a pair of Hunters and swing on a lamp post or something. Navy or black Hunter Rain Boots are a smart choice with a suit. They're classic and polished and rise up high enough so you don't have to watch where you step. Now on to the chambray... Although it is the brother to denim, chambray is lightweight and crisp so it goes just as well under a suit as it would with casual attire. 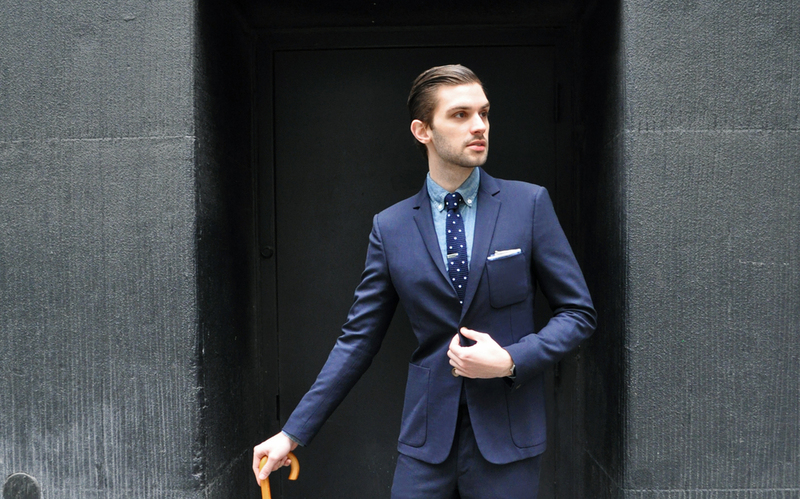 Dress it up with a tie and pocket square, or go more 'casual friday' with it unbuttoned under a chino suit. There are so many styling options and it's so much more interesting than a plain white shirt.